Join LUXE CEO, Melburnian and professional globetrotter Simon Westcott on this exclusive five-day Melbourne tour hosted by LUXE and Connexus Travel. Enjoy the very best Melbourne has to offer in the form of bespoke, individual experiences led by in-destination experts and well-known personalities. Consider this a by-the-hand deep dive into the city, led by your stylish and highly connected friend. The trip takes place 27 Nov – 3 Dec 2018, as Melbourne heats up for summer. Bed down at sleek, contemporary United Places Hotel, located opposite the Royal Botanic Gardens in South Yarra. We'll hop into vintage Fiats to zip around the studios and ateliers of the city's finest artisans, jewellers and artists for the exclusive 'Makers of Melbourne' tour. In the afternoon, we visit the National Gallery of Victoria (NGV) for a private, behind-the-scenes, curator-led guided tour. Dinner is at Attica, the only Australian restaurant listed in 2018's 'The World's 50 Best Restaurants'. In the morning we visit the Justin Art House Museum (JAHM), a striking, avant-garde mansion crammed with the owners' personal collection of 250+ artworks. After lunch at Two Chef Hat Woodland House, an indigenous bush medicine expert will lead us around the Royal Botanic Gardens. Chef Andrew McConnell hosts us for dinner at his Two Chef Hat restaurant Cutler & Co. The epicentre of Melbourne's Italian community, north-lying Carlton is famed for its abundance of trattorias, bistros and pizza joints. We sidestep the tourist traps into the kitchens of authentic family-run eateries and delis with a private tour of the neighbourhood, followed by lunch at DOC Pizza. After a leisurely afternoon, it's a VIP night at the theatre. Following a private dinner backstage, we'll watch Melbourne Theatre Company's Twelfth Night, followed by drinks with cast and crew. It's a one-hour drive to the Mornington Peninsula where we will be treated to an expert-led tour of local wineries, including Willow Creek, Crittenden Wine Centre and Ten Minutes by Tractor. Lunch is at the Rare Hare, the winery restaurant of the Jackalope Hotel. It's then back to Melbourne for drinks at glittery Lui Bar followed by a private dinner at Two Chef Hat-winning Vue de Monde, hands down the most glamorous table in town. 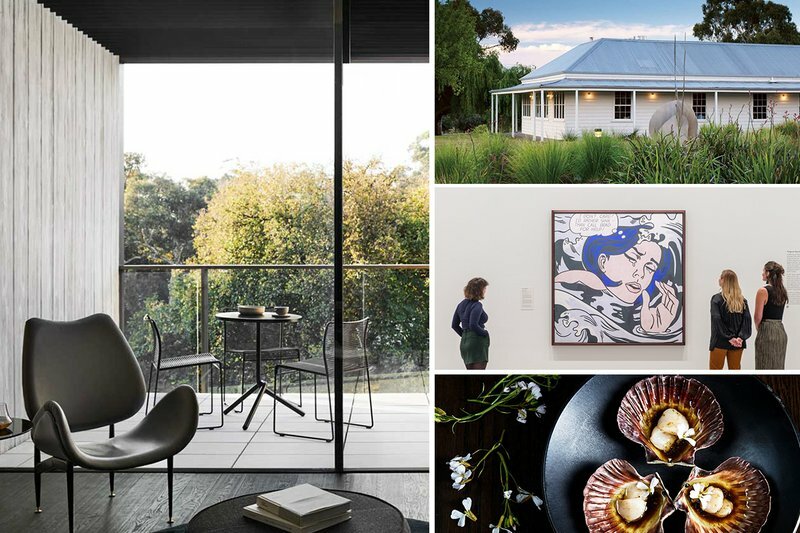 Set amid 30 acres of beautiful Victorian countryside, Brae is more than just a restaurant – it represents the farm-to-table vision of founder Dan Hunter. One of only six restaurants in Australia to be awarded a coveted Three Chef Hats, Brae is the country's best regional restaurant and our venue for lunch. After sampling exquisite Mod-Oz set menus, there's the option to take a guided meander of the grounds. We'll stay overnight in one of the restaurant's sumptuous cottage-suites. CX 104 Melbourne-Hong Kong, departs 15.35, arrives 21.45. InsiderMelbourne@luxecityguides.com and Simon will personally respond. Early bird offer: Book before 31 August to enjoy HKD $1,000 discount per person.